Stunning debut album and imho it's still his best record to date. Great record label too. Just my favourite time in music and well articulated by yourself...eloquent. Colin Dale and his show on Kiss was just unsurpassed. The Outer Limits, legendary stuff. A close second to the Future Beat Alliance album for album of 2009. Mick should be very proud of this, a superbly chilled masterpiece. I think I can kind of remember the reason I first got into Ambient Techno & was probably around the early 90's. I'd hear late night transmissions on KISS, or even through friends of mine on their tape decks & CD's round their houses. Excitingly being up late or sharing music that blew our minds. Great times! 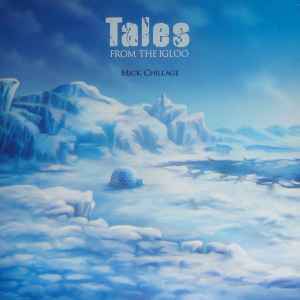 'Tales From The Igloo' really has me casting way back into my past & reliving memories/radio shows & events I thought had been lost forever, recanting lost feelings & the very sensation this music had on me initially, at an age of 18 or 19. In my opinion this album really is as good you have heard...Enough for me to write about anyway. I'll hear 'Rotation' & immediately take a trip down memory lane. Just an astounding track! Check it! That's just one highlight of an album that really arouses a sense of feeling, emotion & a sense of 'scope'. The way music felt to me in those special times. Kudos to Mick for exceptional work on this album. Tracks: Hypothermia & Disturbed Earth are again just 2 other exemplary examples of the above too. Amazing production & once again simply evoking Artwork from the great Jeroen Advocaat. What a collaboration? & it sums up the album's aesthetic cosily whether from inside an Igloo in the Northern hemisphere to looking out across a foreboding yet stunning glacial landscape, with good company of course. The album has strong essences of (early) Luke Slater & Rising High material in parts & Biosphere (to me amongst many). Mick also drawing inspiration from his incredible FAX Records collection too, which only serves well to the album. In a word: Amazing ! Essential IDM/Downtempo etc by .303.